Securonix Inc is the market leader in entity and user behavior analytics offering risk mitigation, incident response and rapid detection of sophisticated insider threats and cyber-attacks. Securonix helps its clients across the globe address their cyber security needs including the detection of advanced persistent threats (APTs), insider threats, privilege account misuse and enterprise/online fraud. To view the job description, please view the following link. https://securonix.bamboohr.com/jobs/view.php?id=21. To apply, please visit the job description page or send resumes to Nikhil Mahesh at nmahesh@Securonix.com. Full-Time Job- Network Engineer- United States Geology Survey. DEADLINE DEC17. Are you considering applying to grad school and interested in oceanography as a career path? Contemplating a career in scientific research and development? The Marine Physical Laboratory, at UC San Diego’s world renowned Scripps Institution of Oceanography, is currently seeking inquisitive, motivated undergraduate students with exceptional aptitude for quantitative science to apply for the 2019 MPL Summer Internship Program. Need more information about the program? The Mechanical Engineering Department at San Jose State University is recruiting a tenure-track faculty member in the area of thermal-fluids engineering. Please let eligible Ph.D. students and post-docs know about our position. I have attached a copy of our advertisement. It is also posted electronically at https://apply.interfolio.com/53856 This could be a good position for a graduate interested in staying in California. To learn more about this position, please visit the flyer attached below. Job location: United States Geological Survey (USGS), Department of Interior, Earthquake Science Center, Pasadena, CA. US Geological Survey is seeking IT professionals to join the team developing and operating the ShakeAlert earthquake early warning (EEW) system (https://www.shakealert.org/). It is a mission-critical, distributed system that rapidly detects earthquakes and generates and issues alerts 24/7 to institutional users and the public before the severe shaking in an impending damaging earthquake happens on the West Coast of the U.S. The mission is to have far reaching impacts including reducing injuries and property damage. Examples of ShakeAlert customers are emergency planners and responders, scientists, utility and transportation organizations, private companies, and the public. These positions are at the main testing and monitoring center in Pasadena, CA, which operates a comprehensive code management, testing and certification platform in a Linux environment. Applicants who have experience in scientific software development and operations projects in a real-time Linux environment will receive consideration for this opportunity. Development environment includes Java, C, C++, Python, Puppet, ActiveMQ, Git, and Perl. Please, apply only if you have experience that is relevant to this opportunity. * Appointment is Permanent, Full-Time. Applicants must be U.S. Citizens. * Suitable for Federal employment, as determined by background investigation. * Selectee may be subject to serving a one-year probationary period. * More requirements are listed under Qualifications and Other Information. Program: The Data Incubator is an intensive 8 week fellowship that prepares masters students, PhDs, and postdocs in STEM and social science fields seeking industry careers as data scientists. The program is free for Fellows and supported by sponsorships from hundreds of employers across multiple industries. In response to the overwhelming interest in our earlier sessions, we will be holding another fellowship. Who Should Apply: Anyone who has already obtained a masters or PhD degree or who is within one year of graduating with a masters or PhD is welcome to apply. Applications from international students are welcome. Everyone else is encouraged to sign-up for a future session. The USGS Earthquake Science Center Pasadena office is hiring a Network Engineer for the Southern California Seismic Network. This position is being offered in Pasadena, CA. Openings for this full-time, permanent position are being advertised as an IT Specialist (Network) (2210) at the GS-11/12/13 level. US citizenship is required. Only online applications will be accepted. The federal government is an equal opportunity employer. Please be sure to submit all the requested materials, including transcripts by December 17, 2018 – and please do not wait until the last minute to apply. If you have questions about the application process, please contact Earl Emerson at pacsac1@usgs.gov. To apply, please send your resume to ryan.young.ext@suez.com– THE BURGHey all, we are THE BURG, an LA-based civic tech company. We won a few grants from the Knight Foundation & the Silicon Valley Community Foundation and are looking to bring on some awesome developer/design talent. Hey all, we are THE BURG, an LA-based civic tech company. We won a few grants from the Knight Foundation & the Silicon Valley Community Foundation and are looking to bring on some awesome developer/design talent. Please send your resume to kai@burg.community. These interns will be awarded a monthly stipend! Thanks! Thiel Capital LLC is a multi-strategy global asset manager and registered investment advisor that manages a global macro hedge fund, a fund-of-funds and a portfolio of venture capital and private equity investments. Our headquarters is in the West Hollywood.Our team of smart, highly dedicated employees needs the very best to join the IT team to support the wide spectrum of daily challenges and projects. The ideal candidate would be a high-energy intellectual that loves IT, loves learning, and embraces challenge. The position is uniquely suited to highly organized individuals with a wide breadth of IT knowledge and the ability to work with all levels of technical competency. To apply, please contact Vanessa Ilario at vilario@thielcapital.com. The Summer SEP begins no earlier than May 1 and ends no later than September 30. Selected candidates are required to start no later than the Monday of the third week in June. Selected candidates are required to attend full day Student Engineering Program events in the summer (schedule to be determined at a later date). Starting pay for Student Engineers is approximately $24 per hour. To learn more about LADWP, please watch the following Engineering Innovation video and read the 2017-2018 LADWP Briefing Book. Work with and scrape data from the web open APIs or data otherwise of interest to the team – mainly Healthcare, Behavioral Health data focus. Build innovative data products using cutting edge tools and technologies in a fast-paced environment. Work with world class Data Science team. Effectively communicate and report critical issues to the team in a timely manner. 100% Hands-on coding. 2 years of Python, R and/or Java development. Understanding of Object-Oriented Programming concepts. Knowledge of other operating systems other than Windows OS. Excellent knowledge of data structures and algorithms. Quick Learner with ability to Multi-task and learn in a fast-paced environment. Knowledge of data science, data mining, machine learning and statistics. Excellent problem solving and interpersonal communication skills. Understanding of different development methodologies. High-end knowledge of data science, data mining, machine learning and statistics. Knowledge of R and R plotting and/or Python matplotlib, Scikit, Julia, Spark, Shark, Map-Reduce, Hadoop, Hive, Pig. Experience working with open source technologies and communities for innovative. RatPac Dimmers currently produces a wireless module made in die-cast aluminum called the “Cintenna” and are looking to redesign the enclosure to have more of a “wow factor” to compete with the market. They currently have two ME’s on this design but would like input from outside the industry from one of UCLA’s best engineering students. After a signed NDA, they can provide full CAD models of our current unit and the internal components to assist with the design. This would be a paid project. If interested, contact Alex Nunez at alex@ratpacdimmers.com. For more information on RatPac Dimmers and Cintenna, visit www.ratpacdimmers.com. This is a great opportunity to intern with a leading innovator and experience the tech ecosystem in Europe. Current available positions for Summer 2019 are: Software Engineering Intern at Bright Cape in Eindhoven, software Development Intern at Aito Intelligence Oy in Helsinki, Embedded systems Intern at Cleverciti in Neukirch, Software Engineering Intern at Cleverciti in Neukirch, Hardware Engineering Intern at Cleverciti in Neukirch, Software Engineering Internat EAVE in London. The deadline to apply is 11/18/2018. For more information, Please see the attached flyer below. The Department of Aerospace Engineering at The University of Michigan invites applications for multiple tenure-track/tenured faculty positions at all ranks. While particular research areas of interest include hypersonics, (space) robotics and data sciences, we welcome well-qualified candidates in any area of relevance to Aerospace Engineering. Submit your your application at http://apply.interfolio.com/56623. Your application should contain your curriculum vitae, statements of research and teaching interests, three representative publications, and the names and contact information of five references, as well as a statement of your experience and vision on supporting diversity, equity and inclusion. Amgen is the world’s largest independent biotechnology company with a presence in approximately 100 countries worldwide. It is one of the few companies that focuses on serious illnesses by discovering, developing, manufacturing, and delivering innovative human therapeutics with the goal of serving patients. The Information Systems department bridges the studies of business and computer science using the theoretical foundations of information and computation. The Summer 2019 intern positions for the IS department include: software engineer, data scientist, and business analyst. Apply through careers.amgen.com and HandShake by October 25. OIST is one of the most diverse and cutting-edge research institutions in the world. The official language of the institute, from research to administration, is English. We currently offer various fully-funded programs, including: week-long Science Workshops, a two- to six-month Research Internship, a five-year PhD program. All STEM students currently pursuing undergraduate or master degrees are welcome to join our information session to discover your new opportunities at OIST. Participants can also receive OIST original goods! Areas of study: Chemistry; Environmental & Ecological Sciences; Marine Sciences; Mathematical & Computational Sciences; Molecular, Cell & Developmental Biology; Neuroscience; and Physics. Our internship program for bachelor’s degree candidates provides broad exposure to the consulting industry and to business strategy through full-­time immersion on a Bain case team. Submit complete applications here. Resume, cover letter, unofficial transcripts, and test scores are required. Learn more about the position here. In this info session, Insight Program Director Bastian Haase will talk about what DevOps is, and how tech companies leverage the DevOps culture to become more efficient. He will also talk about some of the most popular tools and how the Insight DevOps Engineering fellowships can help making the transition into a DevOps/SRE/Production engineering role. We encourage you to also check out our blog post on the topic. with your information to pass onto the hiring manager. Competition: Bechtel – What’s your design for a drilling robot that can navigate tunnels? Show us how you would design a robot that can quickly and nimbly navigate underground rail tunnels and drill quick and precise holes into the tunnel walls. Ideas need to be as creative as they can. Creativity is a criteria for most of our challenges. Students should be encouraged to add in reference images, create their own collateral, mockups, videos and anything that they find relevant and believe adds value to their submission. Hiring fair July 28, 2018 in Mission Valley. Hiring blue collar workers (mechanics, electricians, crane operators, plumbers, etc.) and white collar workers (analysts, accountants, managers, architects, etc.). See flyer. I.M. Systems Group, Inc. (IMSG) is seeking to a science Writer and social media specialist who will provide communications support to the National Oceanic and Atmospheric Administration’s (NOAA) Satellite and Information Service Headquarters (HQ) Communications Team, primarily in support of www.nesdis.noaa.gov and the office’s social media accounts. Please apply directly to our career portal: https://careers-imsg.icims.com. Center (EMC) of the National Centers for Environmental Prediction (NCEP) on the development, testing, evaluation, and implementation of an ensemble dispersion prediction system. The candidate would be working within the Air Quality Modeling team (NCEP/EMC and NOAA/ARL) developing an ensemble-based NOAA HYSPLIT dispersion model capability to be applied for larger-scale volcanic ash applications and extended to smaller-scale chemical releases. Please apply directly to our career portal: https://careers-imsg.icims.com. I.M. Systems Group, Inc. (IMSG) (www.imsg.com) is currently seeking to hire an Environmental Communications Specialist to provide outreach and communications support to NOAA’s Office of Response and Restoration’s Assessment and Restoration Division (ARD). Applicants should have a Master’s degree (communications, public administration) with environmental experience, or a Bachelor’s degree in an environmental field of study with at least three years communications/outreach experience. Apply online at: https://careers-imsg.icims.com. your qualifications meet the requirements of the position. Please indicate your timeline of availability and preferred salary level for consideration. I.M. Systems Group, Inc. (IMSG) is seeking a candidate to fill a full-time position as a meteorological developer at the Weather Prediction Center (WPC). The new hire will work with colleagues to develop and implement verification methods to gauge the effectiveness of new forecast tools and methodologies applied to operational and experimental forecasts. The candidate will work with colleagues to provide scientific enhancements to existing forecast methods, as well as develop new and improved approaches. Please apply directly to our career portal: https://careers-imsg.icims.com (NOA1811). Be sure to include your resume and cover letter explaining how your qualifications meet the requirements of the position. Please indicate your timeline of availability and preferred salary level for consideration. I M. Systems Group, Inc. (IMSG) is seeking candidates to support the Environmental Modeling Center (EMC) of the National Centers for Environmental Prediction (NCEP). The support will be on the unification of marine data assimilation activities working towards building a coupled data assimilation system between ocean, sea-ice, waves and eventually the atmosphere. Please apply directly to our career portal: https://careers-imsg.icims.com (NOA1814). Be sure to include your resume and cover letter explaining how your qualifications meet the requirements of the position. Please indicate your timeline of availability and preferred salary level for consideration. I.M. Systems Group, Inc. (IMSG) is looking for qualified scientific programmer candidates to provide programming and software engineering support for the next generation NOAA weather satellites using industry standard software engineering techniques in College Park, Maryland. Applicants should have 2+ years of experience in Fortran and/or C/C++, 2+ years of knowledge of Unix/Linux, and experience with Python, Perl, or shell scripting. Please apply directly to our career portal: https://careers-imsg.icims.com (NOA1809). Be sure to include your resume and cover letter explaining how your qualifications meet the requirements of the position. Please indicate your timeline of availability and preferred salary level for consideration. Have you considered becoming a teacher? Inspire the next generation of innovators by beginning the transition to teaching middle or high school as your next career. The EnCorps STEM Teaching Fellowship is a rigorous on-ramp to a teaching career — offering you the field experience, knowledge and connections to ensure you thrive. with subject Line: OMC Intern – “Your Name”, 1. Attach Resume, 2. Paragraph why this opportunity fits you, 3. Your contact info, and 4. Your availability. with the email Subject “RESUME:” with a copy of your resume and any example work you think would showcase your capability. Competition: Siemens – How can we better control mass air flow in rotating machinery? Explain your design for the air flow control system of the future in gas turbine engines. Ideas need to be as creative as they can. Creativity is a criteria for most of our challenges. Students should be encouraged to add in reference images, create their own collateral, mock ups, videos and anything that they find relevant and believe adds value to their submission. For this challenge, Siemens prefers a CAD or another high-quality format that illustrates the idea. A Civil Engineering Assistant is responsible for the following essential functions: prepares plans, specifications and cost estimates for minor flood control or road maintenance projects such as retaining walls, parking lots and similar projects utilizing commonly used software applications and specialized engineering software applications such as Computer Aided Design and Drafting (CADD), etc. Full job description and application can be found at https://www.governmentjobs.com/careers/lacounty/jobs/2159402-0/civil-engineering-assistant. Online application only. – highlighting their relevant research experience and coursework. technology and sales to fill Senior Solution Sales Internship roles. This is a summer 2019 position. Applicants should be graduate students pursuing a Master’s degree in the areas of Business, International Relations, or similar disciplines. Intern positions are located in major cities across the US. We offer Summit opportunities in one of 7 metro regions: Atlanta GA, Boston MA, Chicago IL, Dallas TX, New York NY, San Francisco CA, and Washington DC. Any anonymous company, one of America’s top manufacturing and R&D companies, is hosting a challenge: How would you remove touch cues from doors, locks, and more? – https://www.mindsumo.com/contests/smart-tech-buildings. The Data Incubator is an intensive 8 week fellowship that prepares masters students, PhDs, and postdocs in STEM and social science fields seeking industry careers as data scientists. The program is free for Fellows and supported by sponsor ships from hundreds of employers across multiple industries. Anyone who has already obtained a masters or PhD degree or who is within one year of graduating with a masters or PhD is welcome to apply. Applications from international students are welcome. All sections will be from 2018-09-10 to 2018-11-02. Apply at https://www.thedataincubator.com/fellowship.html#apply?ref=wd2lsbGlhbWhAc2Vhcy51Y2xhLmVkdQo=. I am looking for someone to help me finish building my website. I estimate that it should take around a month to complete the website depending on one’s experience. I’m using Express as a server, MondoDB as a database, and React for frontend. Aside from frontend, I need someone to create and implement a videochat feature and finish some backend work. I can pay $15,000. If you’re interested in learning more please message me at michael2@alumni.stanford.edu. On July 22, 9am-4pm, Professor John Villasenor will be teaching a one day Blockchain Technology course at the UCLA Luskin Conference Center, Grand Ball Room. It is designed to provide anyone an introduction to the technology but will be particularly valuable to business, law, and media industry professionals. Cost is $795. For more info, contact annie@luskin.ucla.edu. The Department of Radiation Oncology at DGSOM isseeking assistance with image processing and statistical analysis. A graduate student or post-doc fellow with experience in medical imaging and programing is preferred. They are anticipating 20 hrs/week for the summer (3 mo) or longer. Experience with MATLAB programing and imaging processing is a plus. Compensation commensurate with experience and qualifications. Candidate can contact directly at xqi@mednet.ucla.edu. ZenPatient is looking for new graduates with 1 year of work/internship experience in full stack development, data science, or React development. We are also looking for candidates seeking to expand their skills to new domains of software development. This is an entrepreneurial position in a company that will be going to raise a seed round over the course of the summer. If you are interested in learning more, please email Daniel Tawfik at daniel@zenpatient.com with your resume and any questions you may have. The Transportation Academy is a two-week immersion program, offering undergraduate and graduate students a first-hand look at different facets of the transportation industry; the Academy is open to men and women. Students will visit 13 public and private agencies for half-day seminars to learn all about the transportation industry. The theme of the Academy this year is Innovation and participating agencies will highlight how they are innovating to meet future challenges and demands within the transportation industry. Participants will learn about management, finance, operations and planning, as well as engineering, construction management and public involvement principals. In addition to hearing from top executives within the transportation field, students will experience transportation first-hand through a series of onsite tours including live construction projects, tours of harbors and/or rail yards, tolling facilities, etc. More information available at www.wtsorangecounty.org/transportation-academy. You may find the application here. Candidate will modify Gridpoint Statistical Interpolation (GSI) to process aerosol background fields and coordinate with Joint Effort for Data Assimilation Integration (JEDI) team about incorporating aerosol observations into JEDI/UFO development. Candidate will also estimate aerosol observation and background errors, and explore the possibility of generating and utilizing ensemble information, including multivariate information between aerosols and other atmospheric variables. Candidate should have Ph.D., M.S. or relevant experience in Computer Science, Atmospheric Science, or other related physical or mathematical science. Apply at www.imsg.com. Candidate should have M.S. or Ph.D. in Atmospheric Science, Oceanography, or other Geophysical Sciences, Engineering, Computer Sciences, or Mathematics. The candidate will work with scientists in EMC’s data assimilation (DA) team and collaboration partners to enhance the current monitoring capabilities of the GFDPT system, including the use of the Proactive Quality Control (PQC) approach within the Global Data Assimilation System (GDAS). Software applications will be used to identify forecasts with noticeably degraded forecast skill from the Global Forecast System (GFS), analyze these so-called dropout cases, track the location(s) of the forecast error(s), and identify possible source(s) associated with conventional and/or satellite radiance data. Apply at www.imsg.com. This individual will work with the National Oceanic and Atmospheric Administration’s (NOAA) Office of Response and Restoration’s (ORR) Marine Debris Division (MDD). The candidate will serve as a Communications and Education Specialist for marine debris-related matters, supporting activities under the NOAA Marine Debris Division. This position will establish and coordinate a proactive communications strategy that builds awareness of the Marine Debris Program’s core capabilities and projects. Duties will also focus on program coordination and development through community engagement, creating outreach materials, reviewing reports and other outward-facing products, and developing web-based content. Follow application instructions in attachment. Graduating civil engineers and surveyors and civil engineer alumni students are invited to the Caltrans Career Fair held at Cal Poly Pomona on June 4 – June 6. Please view the attached flyer for more information. Manufacturing intern will assist in investigations, analysis and problem-solving activities related to design and process deficiencies. Intern will also assist with creation of detailed Manufacturing Instructions to support new processes and equipment. Candidate should have basic understanding of design drawing aid programs, SolidWorks is a definite plus. If interested, email Dana McLean at danam@breathetechnologies.com. District interns will work in a dynamic environment assisting with the operations of a congressional office. Duties include, but are not limited to: answering constituent calls, greeting constituents and visitors, assisting with Federal Casework intake, processing White House tour requests, creating flyers, event planning, clerical work, and other district-based projects. District interns will have the opportunity to learn about the 38th Congressional District of California by shadowing Field Representatives at community events, legislative briefings, and meetings. To apply, please complete this application. Camp Messenger needs experienced native iOS, Android, and Node.js developers on board as remote summer interns, with the potential to expand to a greater role within the company in the future. This would be a paid internship and hours would be flexible. You would be starting the first week of June and timelines vary among expertise. All interested candidates please email kevin@campmessenger.com with the subject line “[Language] Developer” – where [Language] is the desired language, a link to your GitHub, and an attached resumé. Research Corporation of the University of Hawaii is currently looking to hire a postdoctoral researcher in geophysics/hydrogeophysics for the ‘Ike Wai project at the University of Hawai‘i. This is a Regular, Full-Time, Non-Civil Service position with the School of Ocean and Earth Science and Technology (SOEST) and the Hawai‘i Institute of Geophysics and Planetology (HIGP), located in Honolulu, Hawai‘i, through the Research Corporation of the University of Hawai‘i. Researcher will work as part of the geophysics team to help address the goals of the multi-disciplinary ‘Ike Wai project on understanding the complex hydrogeology and groundwater resources of Hawai‘i. Surfx is looking for a part-time mechanical engineer, B.S., M.S., or PhD level, to help design semiconductor processing equipment. The engineer will be required to model flow processes using CFD software, and to develop 3D CAD drawings of equipment using SolidWorks. Surfx is looking for a smart, motivated person with strong technical skills, who is a good communicator, and available to work for one to three years while attending school at UCLA. The student can work from home, and come to work only when needed to communicate with the team. The student will be expected to work 10 to 20 hours per week during the school year, and full time during the summer. Email applications to jobs@surfxtechnologies.com. Nuclear Propulsion Officer Candidate Program is main way that the Navy recruits civilian engineers/engineering students to operate and supervise the nuclear reactors that power the Navy’s fleet. It is about managing a group of people to operate nuclear reactors safely and efficiently and is very beneficial for someone who is looking for real world engineering experience as well as leadership skills and their own personal development. Training only starts after they graduate from UCLA with no other military obligation before that point, while receiving full pay and benefits! Graduating civil engineers and surveyors and civil engineer alumni students are invited to the Caltrans Career Fair held at CSU Fresno on May 9 – May 11. Please view the attached flyer for more information. Sirius Technical Services is seeking a Chemical or Mechanical Engineering Intern for a 6 month contract position. Intern will update and process documents, work on assigned projects with the close supervision of mentor/supervisor, and perform a variety of other tasks. Contact Bailee Bush (Bailee.bush@siriustechnical.com) if you are interested in more information. You would participate in designing national R&D strategies for advancing photovoltaic and concentrated solar power technology as well as technologies to enable better solar integration with the grid. This is an excellent opportunity to learn about the federal government and its role in advancing science and technology. Participants are expected to apply the expertise gained from their scientific education and research experiences to assist in developing and managing new and ongoing projects. Contact LT Phan at tuan.a.phan@navy.mil. Candidate should have ability to write clean, high-performance code in Swift and have deep understanding of iOS design patterns and the Cocoa Touch framework. Candidate should also be proficient in Python, Objective-C, and/or Java. If interested, apply at topmygoals.com/jobs or email Seun Deleawe at seun@topmygoals.com. NASA Pathways Program has several openings for student trainees, including mechanical, aerospace, electrical, material, welding, and environmental engineers, as well as other positions. Please visit the links in the attachment of the website to apply. FemtoDx is seeking electrical engineering interns to work in our West LA/Westwood laboratories. The Engineers will design and build board-level circuits, conduct bench-top tests and characterization of devices. Candidate will also conduct wafer or die level testing and characterization of devices using a probe station. Candidate should have PhD or PhD candidate in physics or electrical engineering with experience in LabView, MATLAB and other data analysis tools. Submit resume and statement of interest to careers@femtodx.com. The Associate Bioengineer (AB) position will be responsible for manufacturing and maintaining stocks of specialized assay hardware, performing quality controls on all production, and general research and development tasks including microfabrication and cell culture. Cedars-Sinai is looking to immediately recruit Research Associate (RA) (Bachelor degree required) And Research Interns (undergraduate students) full time or part time for medical device prototyping, particularly on DC Power electronics engineer and/or RF engineer Antenna/Electromagnetics. If interested, contact Hui.Han@cshs.org. Several oportunities are available at Jacobs supporting NASA MSFC. Positions include data analyst, advanced concepts intern, systems enginering tool intern, space launch system fluids and propulsion analysis intern, and terrestrial environments intern. Apply in the link included in the attachment. NASA currently has positions open for aerospace and electrical engineers. Closing date for the applications is 5/16/2018. Please visit website links in job description for more detail. The internship will provide intern with valuable experience in using Unity3D, writing native plugins, and building scalable code. Candidate must be currently pursuing a BS in Computer Science, Mathematics or a related field. Candidate should have familiarity with OOPs, and know C#/. Net, and some Java, C++ and HTML. Contact manik@newrealmtechnology.com if interested. Ya-Hong Xie, from the Materials Science & Engineering department will be hosting some Chinese delegates from this Changchun Institute of Optics, Fine Mechanics, and Physics (CIOMP) of the Chinese Academy of Sciences next Tuesday (April 17th, 2018) to advertise and recruit undergraduates/graduate students for a summer internship. Their infosession will be on April 17th in Eng V, Rm 2101 from 5-8 PM. Candidate will be responsible for modification of hardware drivers (LCD, GPS, Camera, Accel/Gyro, BT/WiFi, USB, OTG, etc), and debugging Android Marshmallow (and later) base operating system, kernel, and bootloader with Rufus Cuff. Candidate should have strong knowledge of embedded software/Driver support (primary focus) and strong knowledge of C. If interested, send your resume & cover letter to admin@rufuslabs.com. Candidate will be modifying and optimization of Rufus Android UI, and modifying and optimization of Rufus Enterprise Platform Android Application. Candidate should have strong Android application development skills, including familiarity with the Android SDK and other leading development tools. If interested, send your resume & cover letter to admin@rufuslabs.com. The GSK challenge asks students to think of an out of the box solution to monitor sleep and wakefulness. They’ve specifically mentioned their interest in hearing from CS, Information systems and engineering students. Applicant should design a solution that will track sleep wakefulness quality and quantity for patients / and potentially provide a simple visualization or scale helpful to users. Looking for a recent graduate interested in a medical career who needs clinical medical research experience. Seeking candidates who are able to provide a 2 year commitment. Our research program focuses on studies related to cancer and aging, exploring the unique issues that older adults face when undergoing cancer treatment. The research assistant manages multiple research protocols to assure efficiency and regulatory compliance of the protocol. Must attend clinic and play an active role in patient recruitment. Must be able to identify and extract pertinent data from the medical record and comprehend medical terminology. Send resume, cover letter, and transcript to ahurria@coh.org and vkatheria@coh.org. instrumentation designed by the lab. Participate in the spacecraft integration and testing of instrumentation. Apply at https://hr.mycareer.ucla.edu with reference position # 27563. Intern should be pursuing Mechanical Engineering (BSME), Industrial Engineering (BSIE) or Electrical/Electronic Engineering (BSEE). Intern will assist in the development of future toy products as well as work with a cross-functional team, including an international team of engineers and designers. Internship duration is for a semester (10 -12 weeks) and is located at Mattel’s headquarters in El Segundo, California. Walter Reed Middle School is looking for graduate students to teach Science Bowl. The candidates would need to tutor two Wednesdays a month, 3:20 – 4:20 p.m.(will pay $55 each time), should be comfortable with AP sciences (biology, chemistry, physics, environmental science) and plan on tutoring 8th graders (10-12 students), mostly on chemistry and every and the latest on US Dept .of Energy. Please email Jinny.Jung@lausd.net if you are interested. Each year DaVita accepts 20-25 students from top tier universities into our leadership development program called “Redwoods.” The Sophomore Leadership Summit is a two day program July 24-26, 2018 in Denver, Colorado for students between their sophomore and junior years of school. Participants will receive training in team development, communication styles, and problem solving. The culmination of the summit is a DaVita case competition that introduces participants to a variety of DaVita’s strategic initiatives. To learn more about DaVita Inc. visit http://www.davita.com/about. Under Project Management supervision, applications engineer is responsible for reviewing, generating documents pertinent to the Transportation product line. Candidate should have engineering degree or technical equivalent in progress with minimum 1 year of college completed. Candidate should have some knowledge of basic design, bill of materials, technical product applications, and computer aided design (CAD) software and basic drafting techniques. Contact Nadia Asfour at nasfour@barksdale.com for more information. The Software Engineer (Full Stack) will execute world-class game programming with industry best practices on both back- and front-end development. Engineer will also build upon and improve core game engines and tools for both mobile and AR/VR platforms. Candidate should have Bachelor’s degree in Computer Science/Mathematics and strong knowledge of C# and Unity. If interested, contact Alfred Fung at alfred@fun-gi.com. Digital Dragon is looking for a tech enthusiast who wants to share their passion for tech with kids. Candidate should have tutoring, camp counselor, or teaching experience (K-2 experience preferred) and preferable available during the afternoons (1PM-7PM). Contact info@DigitalDragon.co with resume. Intern will provide 1:1 consultations to fellow students during drop-in hours, career fairs, events, and tabling, as well as plan and moderate career-related events, including Internship Meet-Ups and Internship Drive-Thru’s. Undergraduates with a graduation date no earlier than March 2019 from all majors are encouraged to apply. You must be a full-time student and maintain good academic standing. Commitment to intern for at least 2 quarters is required. You may work 10+ hours per week, up to 19 hours, during the academic school year, with the option to work during summer. Apply on Bruinview: 965830. KPMG is inviting 5 elite universities in the world to test their abilities by cracking complex and real business issues through creative Augmented Reality (AR) and data-driven ideas, alongside KPMG experts in Data and Analytics (D&A). If your idea is chosen as a finalist, you will get the opportunity to engineer your solution, and surface the visualization in AR. The winning team will get an all-expenses paid trip to Paris, France to present their idea at the Global KPMG D&A Summit. To find our more and to register to attend the Ideation Workshop, please visit kpmg.com/ideationchallenge. 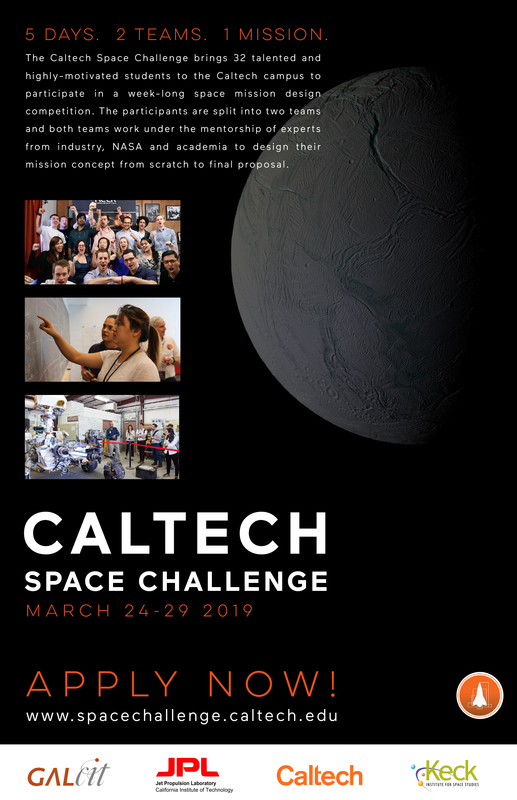 The purpose of this competition is to assist the further development of early-stage software created at UCLA to the point of startup company formation. First and second place winners will receive investments to support commercialization activities that would not be supported by basic research grants. First Place Winner: $75,000, Second Place Winner: $50,000. This is an opportunity to receive venture capital investment, which additionally provides business expertise and connections to further accelerate projects to market. In addition, winners will be offered Startup in a Box service provider support and a joint press release as well as the opportunity to take the intellectual property into the newly formed company under an express license. Please send resume and cover letter to contact@wrapal.com. UCLA SMERC is about to receive a battery system from Microvast and are expected to send one staff/student to help with disassembly and packaging of the system which is currently at EPC power in San Diego. You will be guided by technicians from Microvadt and EPC power in helping with disassembly and packing of the battery system for shipping. Contact peterchu@g.ucla.edu for more information. The UCLA Volunteer Center is hiring a talented student web designer who is also interested in philanthropy. An ideal candidate works independently, has experience working with GIT, and possesses strong skills in PHP, CSS, HTML. Perks include a flexible part time schedule and a positive, collaborative work environment. The new hire will have the opportunity to train under the current student web developer for a few months over the summer. A student will earn $15/hour with this part-time position. For more information, visit https://ucla.in/2nF3MAy. DataHero is looking for a highly motivated UCLA computer science student who enjoys the challenge of building scalable, high-performance back ends for complex web applications. Responsibilities include receiving agile assignments in Pivotal Tracker, working on production code, and deploying in a Dockerized microservices environment on AWS. To apply, contact jobs@datahero.com. Your core responsibility is to help the customers understand their business problems and then using technology solutions using Oracle latest Cloud Computing services. The target candidate’s profile is one who can blend of deep technical skills (modern programming, UX design, data analytics and software architecture, etc) with analytical problem solving skills. Candidate should have Bachelor’s degree (GPA of 3.2 or greater) in Computer Science, Information Technology, MIS, or related degree. To apply, visit http://oracle.com/goto/classof at Job Id# 180000F9. The UCLA Innovation Fund is partnering with Bow Capital and Osage University Partners to launch a campus-wide computer science competition. First Place Winner receives $75,000 and Second Place Winner receives $50,000. The application can be accessed at the JudgeAbility 2018 UCLA Computer Science Competition website. Applications are due March 2. Bank of America is excited to share details of our diversity Tech insight programs taking place this April. These targeted programs offer opportunities for freshmen and sophomore students who want the unique insight into how you can use your computer science and computer engineering degree to make an impact on a global scale. Visit go.bofa.com/InspireTech18 and go.bofa.com/IgniteTech18 for more information. The interns would work on creating a business plan and strategy for an on-line community focusing on empowering young girls and women in business and STEM. The internship requires writing, researching and development. Contact bstembusiness@gmail.com for more information. KPMG is inviting students to test their abilities by cracking complex and real business issues through creative Augmented Reality (AR) and data-driven ideas, alongside KPMG experts in Data and Analytics (D&A). Submit your ideas by 23 March. The workshop is held on March 22-23. In this two-day event, participants will learn about Entering Research, a mentee training curriculum designed for undergraduate and graduate trainees who are involved in a mentored research experience. Complete the application form on their workshop website. Candidates will be making enhancements to the data handling and processing of observational data, quality control and database handling are needed to improve the use of the data. Candidate should have Ph.D., M.S. or relevant experience in Computer Science, Atmospheric Science, or other related physical or mathematical science. Apply directly at https://careers-imsg.icims.com with your resume, three references with contact information, and a cover letter. The candidate would be working within the Data Assimilation Team on particular enhancements to the specification of observation errors, channel selection, quality control and bias correction are needed to improve the use of the data. Candidate should have Ph.D. or M.S. in Atmospheric Science, or related physical or mathematical science. Apply directly at https://careers-imsg.icims.com with your resume, three references with contact information, and a cover letter. The candidate would be working within the Data Assimilation Team on building an advanced aerosol assimilation capability into the Gridpoint Statistical Interpolation (GSI) in the short term, with an evolution toward using components from the Joint Effort for Data Assimilation Integration (JEDI) being led by the Joint Center for Satellite Data Assimilation. Candidate should have Ph.D., M.S. or relevant experience in Computer Science, Atmospheric Science, or other related physical or mathematical science. Apply directly at https://careers-imsg.icims.com with your resume, three references with contact information, and a cover letter. Research Engineer will provide programming and software engineering support for the NOAA enterprise algorithm using industry standard software engineering techniques. Applicant should have 2+ years of experience in Python and 2+ years of knowledge of Unix/Linux. Apply directly at https://careers-imsg.icims.com with your resume, three references with contact information, and a cover letter. Software enginer will support lead NOAA/NESDIS/STAR scientist(s) in mobile friendly web development through coding in php, java/python scripting to display SNPP VIIRS and GOES-16 ABI aerosol and fire products. Apply directly at https://careers-imsg.icims.com with your resume, three references with contact information, and a cover letter. Research Engineer will provide programming and software engineering support for the NOAA enterprise algorithm using industry standard software engineering techniques. Applicant should have 3+ years of experience in Fortran and 2+ years of experience in C/C++. Apply directly at https://careers-imsg.icims.com with your resume, three references with contact information, and a cover letter. Research Engineer will provide programming and software engineering support for the NOAA enterprise algorithm using industry standard software engineering techniques. Applicant should have 5+ years of experience in Fortran and 3+ years of experience in C/C++. The Vanderbilt Institute for Nanoscale Science and Engineering (VINSE) focuses on interdisciplinary nanoscale research at the interface of biology, chemistry, physics, and engineering. Applicants should be undergraduate students majoring in science or engineering. Program Dates: May 27, 2018 – August 3, 2018. Visit https://www.vanderbilt.edu/vinse/reu/ for more information. This opportunity is great for engineers interested in start up companies and entrepreneurship. Engineering entrepreneurs will partner with people in business and law to lead a successful launch. Team registration closes on January 31. On January 24, 2018 at UCLA School of Law Room 1430 form 5:30-6:30 pm, there will be an infosession with more information. This P&G CEO Challenge – North America runs till February, 2018 and winners of this mega competition will be invited to meet the P&G CEO, David Taylor. This challenge is open to ALL majors. There are also three more competitions: Adidas – How can we expand our sustainability efforts to connect with Millennials?, Evonik – What’s your idea for a new way to improve dialogue with our employees?, Bayer – How can AI technology help us write right? Applications are available on the website (newstudents.ucla.edu/recruitment) and are due by Friday, January 26. All current undergraduate students in good academic standing are eligible to apply (even if they will be graduating in June). They can apply for one or both NSA positions. If students have any questions about the application process or the positions available, they can attend a brief information meeting on Wednesday, January 17 or Thursday, January 18. Collabera is seeking high caliber, innovative students who have an interest in the Medical Devices industry. Client is Abbott Labs. Patients around the world benefit from their transformational pain management technologies and cutting-edge neuromodulation technologies and their catheter-based and surgical treatment solutions for structural heart disease are focused on ease-of-use and improving quality of life. Candidate must be available to work full-time (40 hours/week) during the 6 month Co-op session. Rising juniors or graduate students preferred. If interested, contact Nainsee Sahu at nainsee.sahu@collabera.com or 973-774-4538. The University of California, San Diego is currently taking applications for a 10-week paid summer undergraduate Engineering internship! The UC San Diego Engineers for Exploration program is a full-time research experience that provides the unique experience of developing technology to drive future exploration. You will be working and collaborating with explorers and conservationists at organizations such as the San Diego Zoo, National Geographic, El Zotz Maya Archaeological Site, Hubbs SeaWorld Research Institute, California Wolf Center, and Scripps Institution of Oceanography. Application due date is Friday, February 16th. Applications received by this date will receive full consideration. Applications will continue to be accepted through March 14th if positions are not yet filled. Apply at e4e.ucsd.edu/apply. Email jmatsuda@ucsd.edu if you have any questions. The REU program is a multi-disciplinary program with research opportunities in Materials Science and Engineering, Chemical Engineering, Mechanical Engineering, Materials Chemistry, Electrical/Computer Engineering, Chemistry, Physics, Mathematics, and Computer Science. This is a 10 week summer research program (May 29 – Aug 3). Apply at SPACT-CENTER.ORG/REU by March 9, 2018.